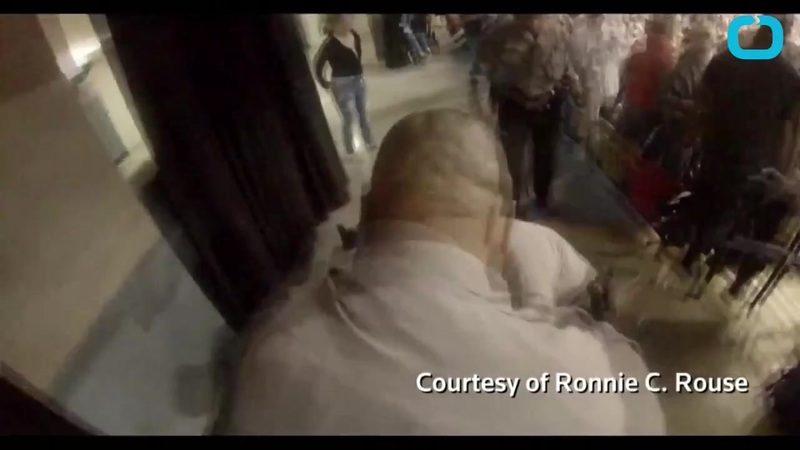 Five sheriff's deputies in Cumberland County, North Carolina have been disciplined for their involvement in an apparent assault on a protester at a campaign rally for Donald Trump. Three deputies have been demoted and suspended for five days without pay, according to a statement the Cumberland County Sheriff's Office released Wednesday. The demoted deputies were dinged for "unsatisfactory performance" and for failing to respond to "apparent criminal activity" tied to the assault at the Trump rally on March 9. The other two deputies were suspended for three days without pay. All five will be placed on "probationary status," for the next 12 months, the department said. The incident involves Rakeem Jones — one of several protesters who was being escorted out of the Trump rally. Multiple videos show Jones being targeted by an apparent Trump supporter. The supporter, identified as John McGraw in the criminal charges filed against him last week, moves down an aisle of seats inside Crown Coliseum. Video shows McGraw, 78, punching Jones in front of police. Deputies appear to take Jones to the ground in the ensuing chaos, as McGraw stands by. Ronnie Mitchell, a lawyer for the Cumberland County Sheriff, says the deputies who were disciplined are "connected with the Rakeem Jones incident, the McGraw assault and the conduct that investigation revealed." In the release, Sheriff Moose Butler said the deputies' "failure to act" in situations like the one that happened at the Trump rally "will not ever be tolerated."